Disclosure: This event and trip to LA was an all expense paid journey sponsored by Disney. All thoughts, opinions and character crushes are 100% my own! Last month I spent a few days in California learning more about the production of CARS 3, touring Disney Pixar and meeting some of the wonderful people behind all of the Disney Pixar movies that we love. 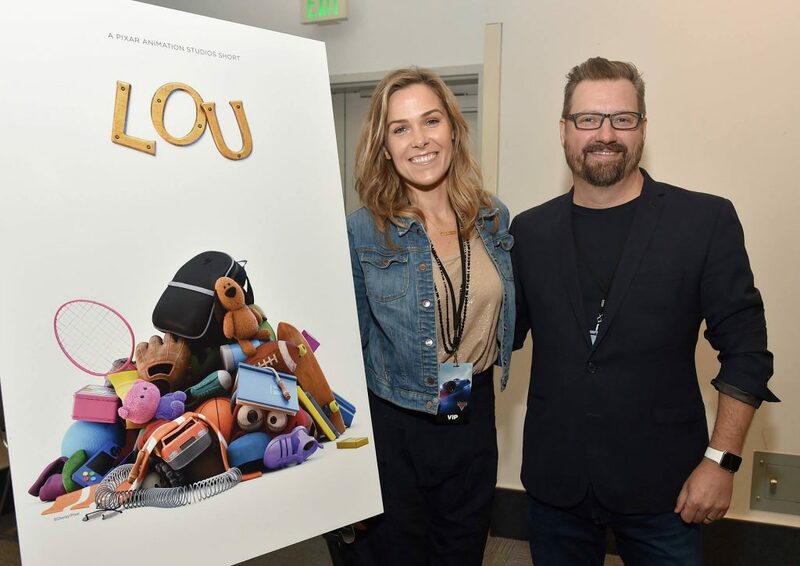 One of my very favorite parts of this trip was meeting and interviewing Director Dave Mullins and Producer Dana Murray (shown below) in regards to their work on the new Disney Pixar short called LOU. I’m a huge fan of short films. I love the creativity and the storytelling that all gets packed into a short amount of time. Let me warn you. LOU will absolutely steal your heart. You won’t see it coming, but you’ll know it the moment that it grabs you. The graphics are mesmerizing, the movement, the sound … it all flows fantastically. Almost so fantastically that you aren’t even searching for a message, until it’s right there in your face and your heart is in your throat. I don’t even want to give you any spoilers, I want you to experience this one for yourself. What I will tell you is this. LOU somehow sums up in a very short amount of time, a message that we can all relate to and something that is definitely relevant to all of us. If you are adult, it will take you back to your playground days and remind you of feelings and moments that you have long since tucked away. It will prompt conversations with your children and hopefully, they’ll take away strong messages from it as well. 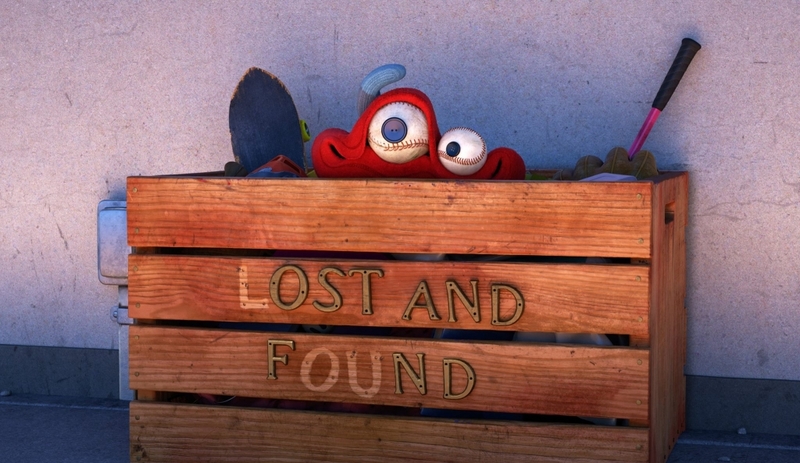 Truly one of my very favorite shorts to date! And all of this is even more exciting because CARS 3 rolls into theaters TODAY!! CARS FANS!! Make sure to keep up with all of the excitement by getting a sneak peak at the characters we will meet in CARS 3. 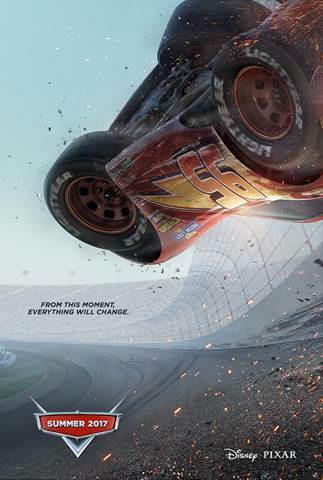 You can print the 2017 Cars 3 Poster here and then you can also visit the Mattel site to keep track of the 2017 Cars Diecast collection and make notations of cars that you want to collect, which ones you already own and they even subdivide them into categories based on their role in the film. Make sure to read my other CARS 3 coverage including my lap around Sonoma Raceway and the time I competed in the Cars 3 Pit Stop Challenge! I also shared my behind the scenes tour of Pixar Animation Studios (amazing) and an exclusive interview with the writers from CARS 3 including Mike Rich (Writer), Bob Peterson (Writer), Kiel Murray (Writer), & Scott Morse (Story Supervisor). I also shared with you my interview with the developers of the next generation of CARS 3 racers Jude Brownbill (Directing Animator), Jay Shuster (Production Designer) & Michael Comet (Characters Supervisor) along with my interview with Bobby Podesta (Supervising Animator), Michael Fong (Supervising Technical Director) and Jon Reisch (Effects Supervisor). And the icing on the cake, make sure to check out the press conference that I attended at Sonoma Raceway that includes some included some fascinating conversation with CARS 3 Producer Kevin Reher, Co-Producer Andrea Warren and Director Brian Fee. CARS 3 rolls into theaters TODAY!! « *HOT* US Weekly Magazine only $17.99 per year!